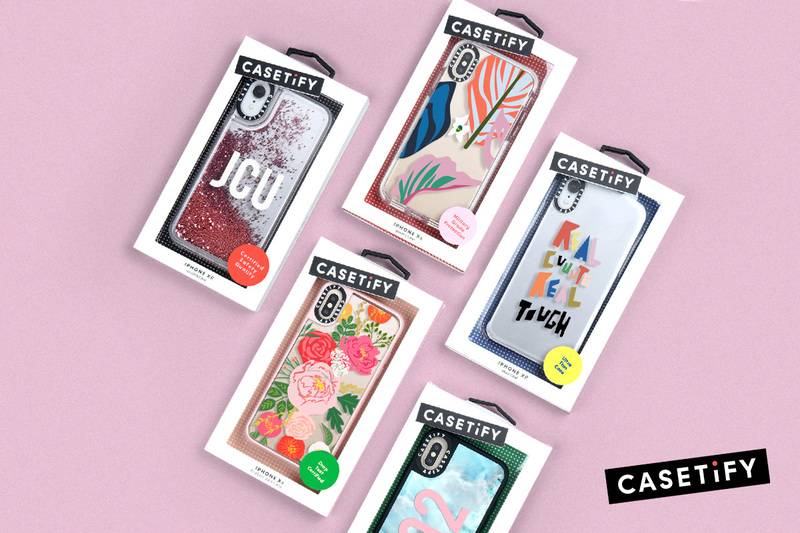 Established in 2011 (originally as Casetagram), Casetify is a lifestyle fashion brand that specializes in phone cases and other tech accessories. 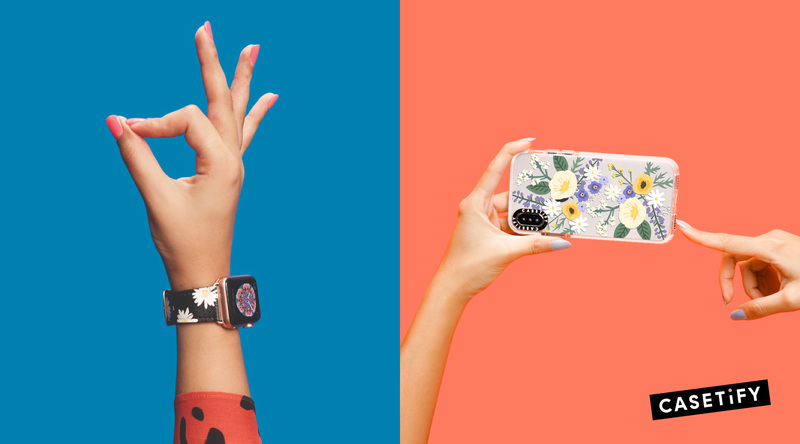 Casetify was the first company to bring to the mainstream the ability to turn your Insta photos into durable cases. 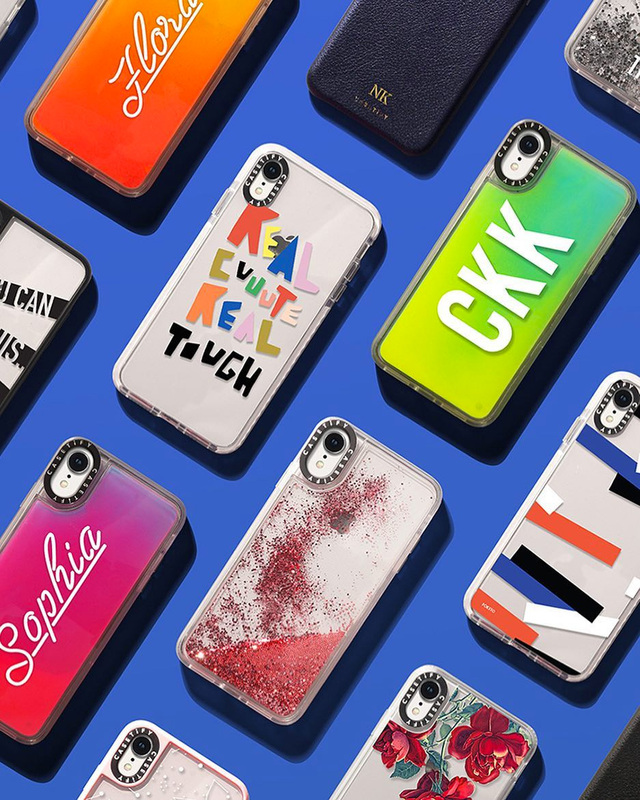 While still providing that option, it now also produces a vast amount of fashionable design cases, many of which can be personalized with your name, initials, or some ironic word. The company has put a strong focus on celebrity collaborations and have launched both Sarah Jessica Parker and Pharrell William’s first tech accessories collections. It’s also a company that knows who its audience is, proudly stating that it reaches “1 in 7 millennials”. Recently Casetify introduced a new identity designed by Portland, OR-based AfterAll Studio. 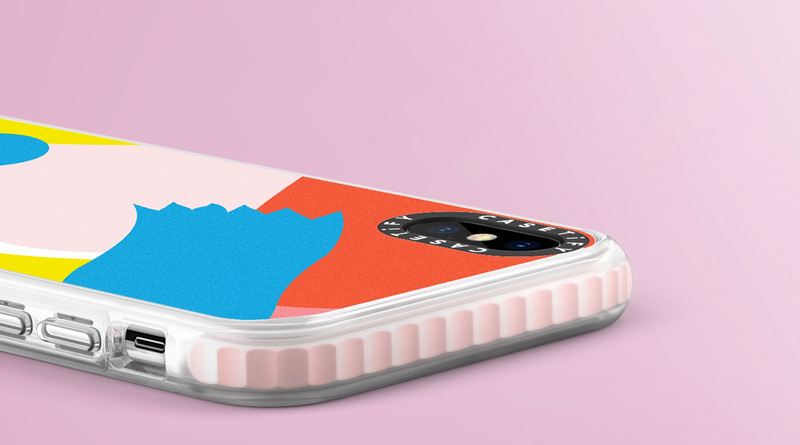 Through many conversations and strategy discussions, we determined that CASETiFY’s brand is one that is bold but not outlandish. It has to feel energetic but not goofy. […] Our inspiration for the logo was based around the idea of stamps, stickers, and tape—which are all things people use to personalize things they own. We wanted to design a logo that spoke to CASETiFY’s spirit of individualism and how CASETiFY empowers people to express themselves. The logo is at an angle to feel like a sticker and the dot in the “i” is meant to look like a person. Pangram Black is the main font used for Casetify. It forms some of the letters used in the Casetify logo, thus making it a natural pairing. Pangram is bold, blocky, and a little quirky. Its slightly squished “S”, which can also be seen in the logo, is one of the more recognizable features of the font. 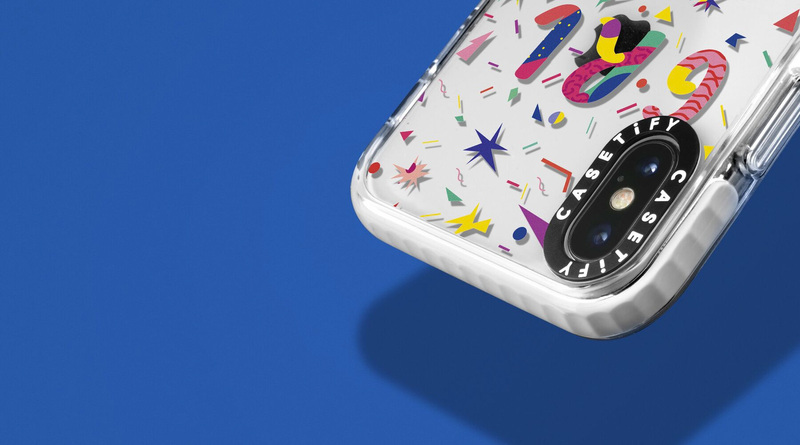 Also, the letter forms are constructed from perfect circles, which relate back to the dot of the lower case “i” in the Casetify logo and the brand’s alignment with dots and circles as a graphic element. The old logo was a modified version of Bello Pro — the same font the old Airbnb logo used — which, in principle, is fine since it’s a charming, fun, lively script but a little overused and dated by now. The new logo is pretty good and achieves a successful balance of heading in the direction of dry sans serif fashion logos but adding some playfulness by simply angling it a bit. The lowercase “i” — whether it looks like a person or not (it doesn’t) — is nicely done and well integrated with the tittle’s center hitting the top of the X-height and breaking the rhythm of the uppercase in a good way. The spacing around the type on the sides is wrong, though, with too much on the left and far too much on the right. An easy fix that should have been fixed (or gotten right from the beginning). In general it’s a very good logo for this brand and it extends into some great patterns to extend its playfulness. 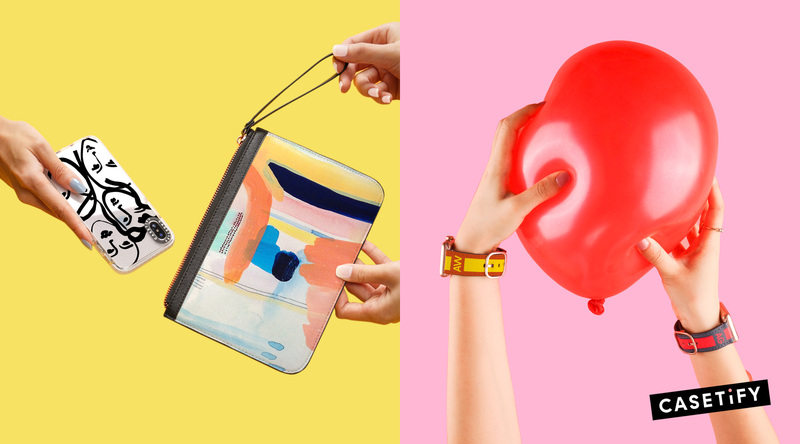 The Casetify Brand color palette is bold, playful, and fun. It is intended to work with a strong black presence at all times to help balance the poppiness and add the finesse. 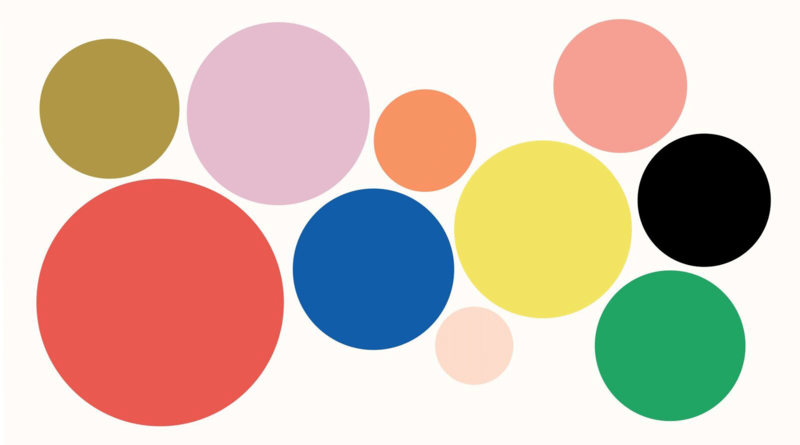 This palette is for use in overarching or general brand work. Seasonal color palettes can be generated based on product assortment, but should still be vibrant and bold and include a strong dose of black. I love how they have applied the logo around the camera ring. It’s something they introduced before the redesign but it’s a super clever way of branding their cases. With cases showing up on so many Instagram photos it’s a great way to get free impressions. The simplicity of the wordmark works great in the awkward curve and the lowercase “i” keeps its distinctiveness. I’m not the target audience. I’m not the target audience. I’m not the targ… I can’t stand these campaign photos. 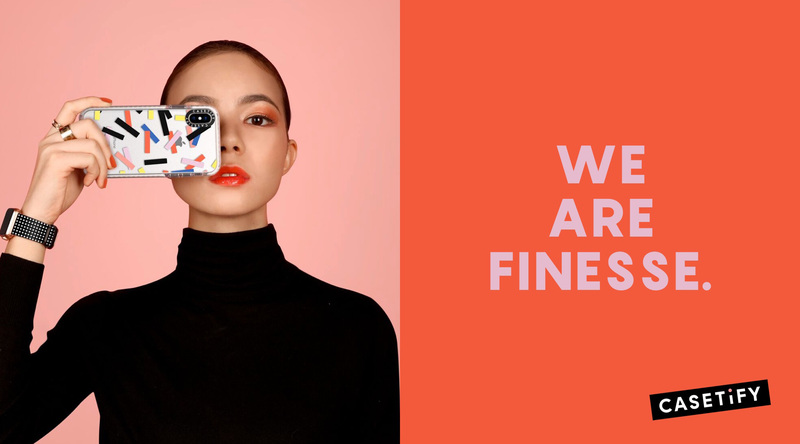 Also, OMG with the kerning on the typography — so much for “finesse”. I am sure there is a way to get the same deadpan-I-care-so-much-but-I-don’t-want-to-look-like-I-care vibe with less annoying art directing and styling. I’m not the target audience though. Overall, this is a strong redesign and very appropriate for the brand and the time. It’s a big improvement from the old logo and now the company appears to have more stature and a more confident position in being one of the leaders in a highly competitive category. 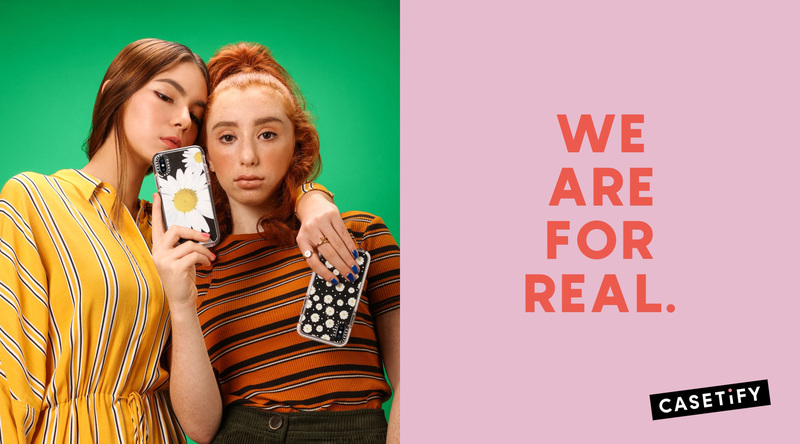 Established in 2011 (originally as Casetagram), Casetify is a lifestyle fashion brand that specializes in phone cases and other tech accessories. 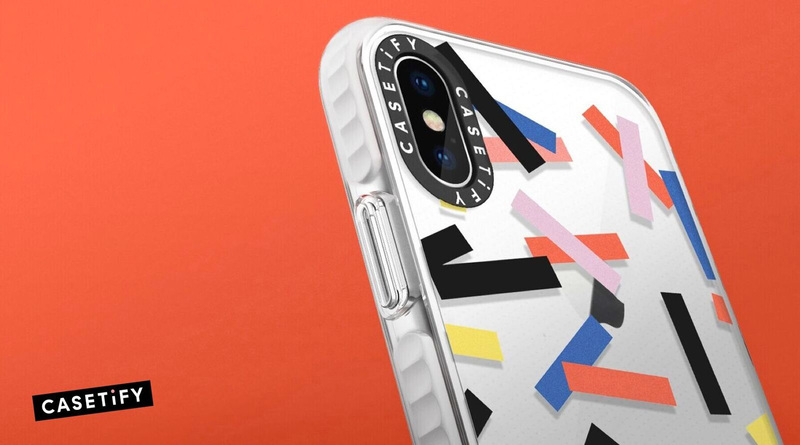 Casetify was the first company to bring to the mainstream the ability to turn your Insta photos into durable cases. While still providing that option, it now also produces a vast amount of fashionable design cases, many of which can be personalized with your name, initials, or some ironic word. 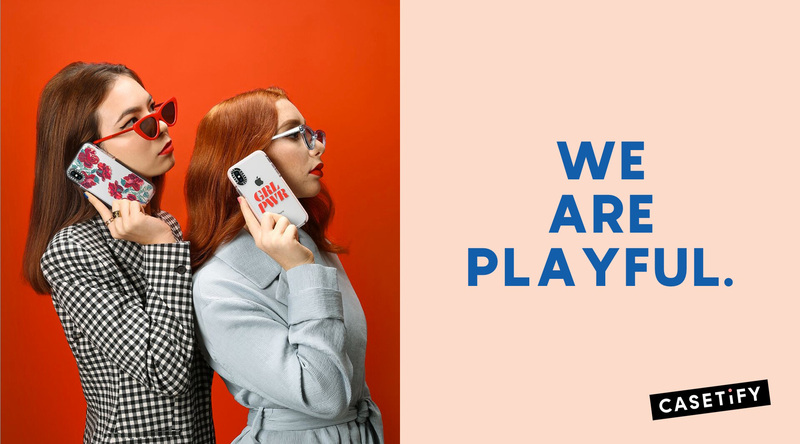 The company has put a strong focus on celebrity collaborations and have launched both Sarah Jessica Parker and Pharrell William's first tech accessories collections. It's also a company that knows who its audience is, proudly stating that it reaches \"1 in 7 millennials\". Recently Casetify introduced a new identity designed by Portland, OR-based AfterAll Studio.